A hundred years or so ago, when I was doing my O'levels and A'levels (translation for non UK residents - school leaving exams at 16 and 18, O=Ordinary, A=Advanced) I spent ages designing revision timetables - different colours for different subjects. By the time I was happy with it, the first day had usually passed, so I needed to do a new one so as not to miss out on that subject's revision. I think there just may have been some avoidance going on there. The reason I mention it here, is because I found myself this evening colour coding my UFO / To Do list. The projects which can wait until after Christmas are in green, while the projects I really should be getting on with are in red. Looks very pretty, but there are still a dozen projects in red! and the super lovely Meg at New Threads was not at all miffed at discussing colour descriptions and swaps at 8 o'clock last night! Lol, I got round all that timetable crap by not revising at all - don't try this at home readers! Love your new thread though, truly drool-worthy! Right, when you are away, the house will be empty, and you won't be taking the Aurifil suitcase with you and perhaps a few other things that would look good in my sewing corner!? Good try Hadley, but the rest of the family are stuck here, and the killer hedgehog will be guarding the threads! I scarcely think that I can be blamed for that! Lovely looking set, by the way. The best thing is that you can call these 'utility threads' in your mind and ignore any expenditure on them...... although I try to do that only once a year! The colours of the thread look fab. 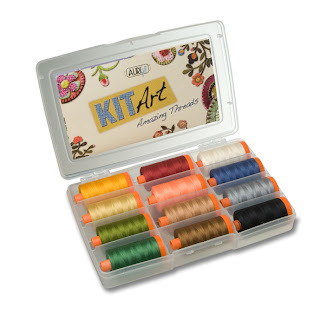 Very useful colours, I'll bet you've been stitching lots already with that lot. I'm the jealous one now Benta, and it's all your fault. I've heard of these threads before, do tell us what you think of them when they arrive. oh and I saw Meg at Ally Pally and her lovely boxes, she's your accomplice! Hi Benta, thanks for the good wishes over the past year - it sure took me a long time to reply. Love your new blog ... thanks for sticking with me! 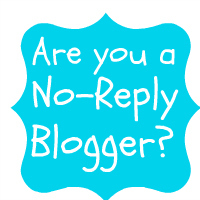 Now for lots and lots of blog hopping to catch up with blogland.